Spork 1.x has come standard with 15mm through axles since day one, but the thread pitch on the fork was previously a somewhat esoteric 14mm x 1.5mm step down thread. This thread pitch made it quite difficult to find third party axles that work with our fork. But… not anymore! This insert replaces the Spork 1.x’s threaded drive side insert that accepts a 15mm x 1.5p axle. 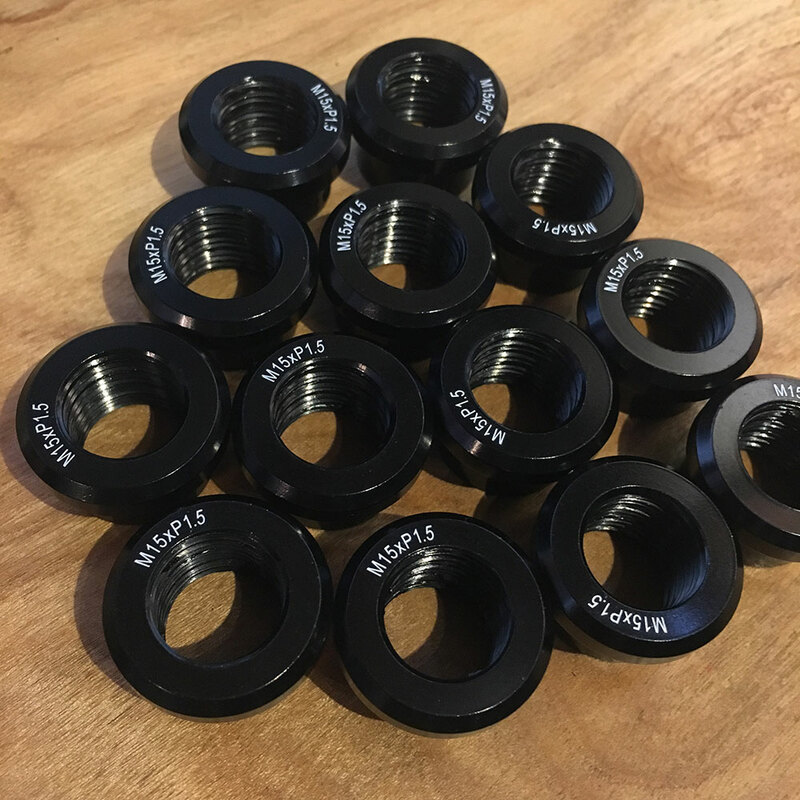 If you want to use a more standard 15mm axle such as a DT Swiss, Paul Components, or Robert Axle Project, you finally can. CNC Machined / Laser Etched aluminum.